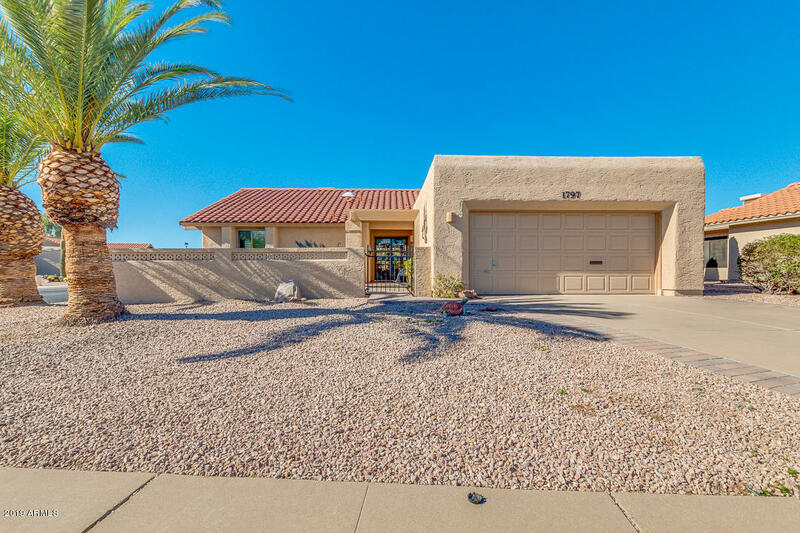 All LEISURE WORLD PLAT 14 LOT homes currently listed for sale in Mesa as of 04/18/2019 are shown below. You can change the search criteria at any time by pressing the 'Change Search' button below. "BRAND NEW AC ** NEW BATHROOM COUNTERTOPS AND LIGHTING** Amazing 2 bedroom 2 bath home in the prime Leisure World community. The upgrades on this home have further defined the comforting feel when you walk through the double front door. UPGRADES include Granite countertops, NEW high end wood look flooring, NEW HIGH END WINDOWS throughout, NEW blinds, NEW tile master shower, a living/den/office/library that was designed by an artist to harness the lighting needed for that perfect studio feel. "